Is the Bluetooth logo a registered symbol? I'd like to use a Bluetooth symbol which will be a visible part of my product for sale. Can I legally use this graphic? The Bluetooth symbol is specifically designed to be included on product packaging and marketing materials in order to indicate to the consumer that the item is "Bluetooth aware" or capable. With this in mind, of course you can use the symbol on packaging for your product. Merely ensure you stick to the usage guidelines. Here is a PDF LINK to the Bluetooth "Brand Book" which details usage and permissible display. 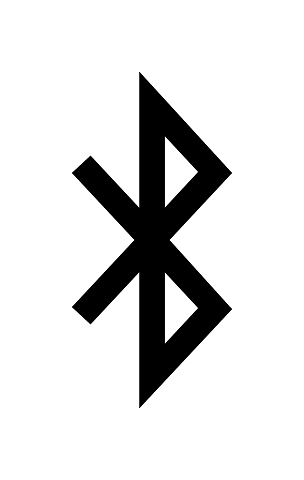 Note that you are not permitted to use the Bluetooth symbol in something like a "logo". Rather, merely as an indicator your product/service is compatible with Bluetooth devices. Not the answer you're looking for? Browse other questions tagged legal symbols product-design or ask your own question. Is it legal to display third-party logos as part of “As featured in” on sites/printed ads without their consent? What is the name of this heart-like decorative symbol? Logo design legality question, Can I use another company's logo in my own? Is there a generally accepted symbol for “accountant”? Illustrator symbols: How to edit symbol to affect mulitiple files? can graphic symbol in illustrator be used for off set printing? Scale/resize a symbol in Sketch?